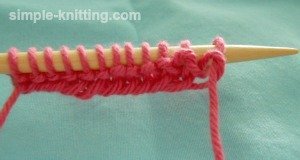 I wanted this tips for knitting beginners page to feel like I am sitting beside you as you learn to knit those first few stitches. 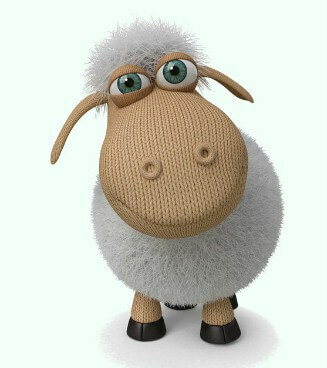 The first question I have for you is, have you got a knitting pattern? The reason I'm asking is because the best way to learn how to knit is by starting small and then slowly building upon what you have learned. Knitting is like anything else you learn which means you need to start at the beginning. So if you have a great knitting pattern please put it away for now. Why? Because reading knitting patterns takes a little getting used to. There's knitting abbreviations and terms that you may not understand yet. In fact reading knitting patterns may feel like you're reading another language at first. Patterns usually have a skill level listed. Did you check? If it's for advanced knitting skills, you just won't be ready to tackle some of the knitting techniques in that pattern. Reading knitting patterns is a learning curve that you just don't need when you're first starting out. 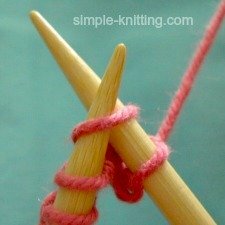 Learn the basics - those first knitting stitches and techniques. Practice them and then move on. I promise that you'll be reading knitting patterns very quickly. One very common complaint that new knitters have is that their stitches are just getting too tight. There can be a few reasons for this. Make sure that you are not knitting on the very tip of the knitting needle. See how it is thinner at the tip? When you try to push the stitch passed the tapered part the stitch will be very tight. Always push that right needle through the next stitch passed the tapered part of the needle and onto the wider part. That way the stitch will fit nicely on the needle. Try adjusting your tension. If you're wrapping the yarn around your fingers unwrap it and just let the yarn hang freely. When you need it gently wrap it around the needle and then drop it again. Try to relax your hands when you are holding your knitting needles too. You want to hold your needles almost similar to the tension you use when you hold a pencil, maybe a tiny bit looser. If you are using wood or bamboo knitting needles you may want to try metal needles instead. They are much more slippery and allow the yarn to move a lot easier along the needle. Now you feel lost, which way is the right way. Where do you start to continue knitting? Remember that the working yarn is always attached to the last stitch you worked. The needle with the working yarn goes in your right hand when you start knitting again. You just finished knitting your first row and when you begin the next row that first stitch seems really loose and you want to tighten it up a bit. 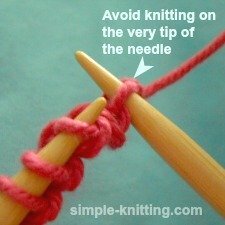 Avoid placing the yarn over the top of the knitting needle like in this photo. When you pull it that way it causes the stitch below to come up over the needle making it look like there are two stitches instead of one. This can cause you to knit the loops separately and you'll end up adding an unwanted stitch to your knitting. Always make sure that if you do tug on the yarn to bring it down towards you like in this photo. Don't worry if it seems loose. Is behind both needles when you work a knit stitch. 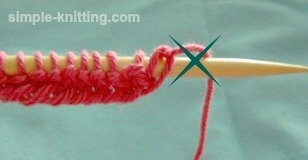 If you knit a stitch with the yarn in front you will accidentally add another stitch to your knitting and it will create an obvious hole in your knitting. Note: When the yarn is in front and you knit the next stitch, it is called a yarn over. It creates a hole and it's a one stitch increase. Is in the front of your knitting when you purl stitches. If you try to purl and the yarn is in the back, honestly (I tried this to see) it will feel very awkward to try to purl the next stitch. So if it feels funny stop and have a look at your knitting to see why. I hope these tips for knitting helped you get through your first few rows and if I can think of even more tips for knitting I'll make sure to let you know right here. Keep practicing, it does get easier.